SJ from JOY’s Tuesday breakfast show Froth interviews KC from KC and the Sunshine band before their upcoming tour to Australia’s capital cities and the Byron Bay Bluesfest. Tune in to Froth on Tuesdays when you wake up to hear music, news, traff and the odd bit of nonsensical gibberish. KC & The Sunshine Band has just passed its 40 year milestone thus beginning a new era for the band Harry Wayne Casey started back in 1973. Operation Troop Aid https://www.facebook.com/OperationTroopAid continues to help families of those serving in our military. 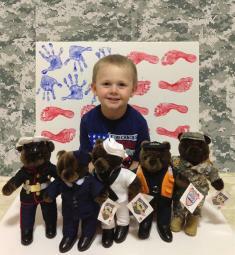 You can support their efforts at http://www.operationtroopaid.org/ & participate in the Buddy Bear campaign. Follow this link to the full story to see the photo gallery shared by Pechanga Casino. 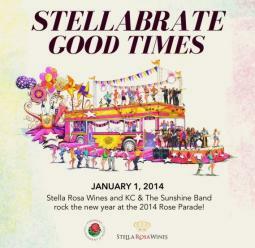 Happy New Year from all of us at KCSB! 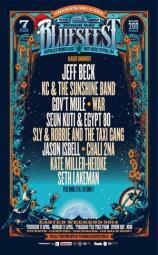 KCSB to Appear At 2014 Bluesfest At Byron Bay in Australia! How many Australian music festivals could make five line-up announcements and still keep its punters interested? Answer: one – Bluesfest. The Byron Bay event's latest line-up announcement should please the purists and the pop fans, led by lauded guitar innovator Jeff Beck – fifth-best guitarist of all-time according to Rolling Stone and twice Rock and Roll Hall of Fame inductee – and disco greats KC and the Sunshine Band. KC and the Sunshine Band may not be a familiar name to many students at North Central College, but their songs are known by all generations. “Get Down Tonight,” “That’s The Way (I Like It),” and “(Shake, Shake, Shake) Shake Your Booty,” came around in the 1970’s and have been used in over 200 films since then. Before he inspired people to “shake shake shake” their booties under the disco ball, Harry Wayne “K.C.” Casey asked music fans “Where is the Love?” The front man for K.C. and the Sunshine Band started his career as a songwriter, penning R&B tunes for Timmy Thomas, Gwen McCrae and other soulful singers. The Grammy Award-winning “Where is the Love?” was written for performer Betty Wright of “Clean Up Woman” fame. BEL AIR, M.D. – The crowd pouring into the newly constructed arena inside the Baltimore bedroom community of Bel Air were ready to “shake, shake, shake” and then some. KC and the Sunshine band had pulled into town, bringing with them not one, but two disco balls, along with their treasure trove of R&B and dance classics. It was enough to spur some fans to grab their tie-dyed shirts, and others their favorite outlandish wig. ST. PETERSBURG, FL—KC & The Sunshine Band has been added to the acts performing at Tropicana Field this summer as part of the Rays 2013 Summer Concert Series. The band is scheduled to perform at the conclusion of the Rays-Astros game on Saturday, July 13 at 4:10 p.m.
KHZTV.com's VJ Tracy Hart interview of KC. KHZTV.com's VJ Tracy Hart interviews KC from KC & the Sunshine Band about his many hits, inspiration and upcoming concerts. Miami, FL – Harry Wayne Casey (KC) is in the studio producing a new track for the ever-popular VILLAGE PEOPLE. The track is “Let’s Go Get On The Dance Floor” which was written by KC! Stay tuned for more information and details.